Conquering creative challenges is why we’re here. After all the disciplined planning and strategizing, this is when it gets fun. We brainstorm and collaborate, sketch and jive – with our creative minds buzzing – to capture the exact look, feel and sound of your marketing and communications visual. From the bold sign to the compelling brochure, we balance color, art and creativity. From the elemental web site to the revealing business card, we deliver prominence, clarity and punch. Your marketing materials should accurately reflect your business and become its voice. We work diligently and exhaustively to make that a reality. We thrive on it. Nothing makes us more proud than producing the materials that produce measurable results for our clients – and eliciting your satisfaction through the process. 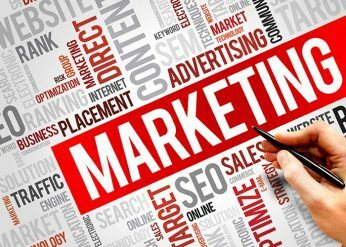 The KoHN Creative team of marketing experts apply their collective knowledge to your project and build marketing model solutions that meet your needs and objectives. If you see it…KoHN Creative can design it. We’ll capture your style and tailor design solutions to your goals. 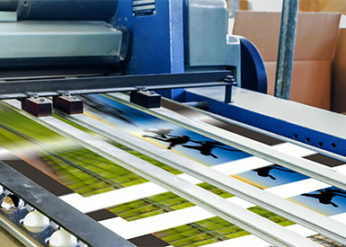 Then it’s onto our large format and digital presses to print your designed project. From a brochure-type to a large, e-commerce website, you can be confident that KoHN Creative will deliver on all of your web development, video, SEO and email marketing needs. Kohn Creative has the capabilities to handle all of your printing needs. That’s right…in-house. Our digital presses can turn out high-quality, full color pieces to get you out of your jam. Find out how your business can reap the benefits of advertising in Carroll and Hanover Magazine. 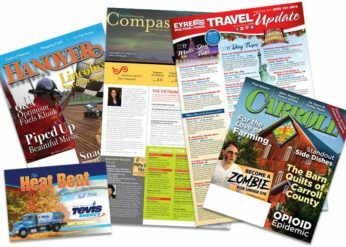 Our variety of publications can keep your customers up-to-date and attract new ones as well. 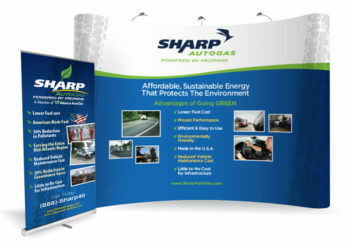 From 100′ outdoor banners and vendor displays to point of purchase displays for national retailers, Kohn produces a wide variety of large format printing right here in our shop. It started in an attic with a credit card. Matt and Josh Kohn are the soft-spoken and humble masterminds that started KōHN Creative. Both, product designers and developers by trade, had a vision that the “money” was somewhere else: Commercial Art – as graphic design was called in the 80s. 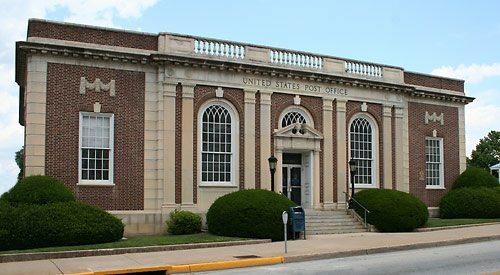 The brothers took their multiple talents – from packaging design, to sculpture, to cartooning, to computer design (on their Mac Plus), to carpentry, plus their printing experience – and wrapped it all into one big marketing house – now located in the old post office on Main Street in Westminster, MD. Staying close to the family-pride philosophy for success and survival, together, the Kohn brothers have been a Baltimore mainstay in graphic design and printing since the mid-1980s. Sure there have been ups and downs in the market, but these guys have always taken it in stride and did whatever it took to get the job done. Thus, they’ve earned the reputation for being accommodating to their clients and respectful of their staff. The company grows each year and continually invents new ways to market other businesses through its experience, talented employees, work ethic and broad resources. Chances are you’ve seen, heard or used one of the products or services marketed by these guys. We’ve been serving Maryland for over 30 years. Learn more about some of the local design clients we’ve served over the years, as well as the special services we offer tailored to Maryland clients. Google rankings (how high you appear on the search results) vary by the location of the searcher. Rank well for the customers who matter most–the ones right in your backyard. We’ve completed a range of web projects, from a quick update to a brand new site, for companies all across Maryland. We have created and maintained the branding for many medium and small businesses across Maryland. 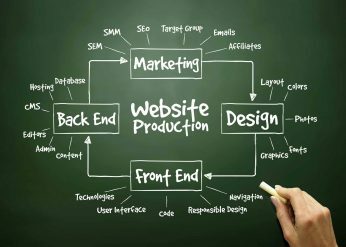 Kohn Creative has designed the websites of many Baltimore businesses. Learn more! We think you will recognize some of the names of our Baltimore Graphic Design clients. We deliver quick turn around and great quality at an affordable price. 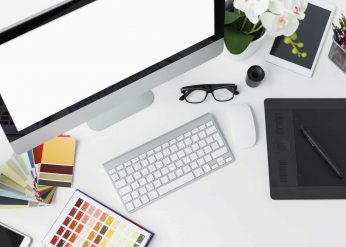 KōHN Creative is a full-service graphic design, web design, and digital marketing agency dedicated to making your business look good and succeed.